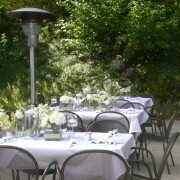 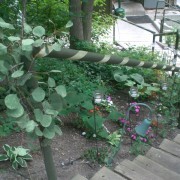 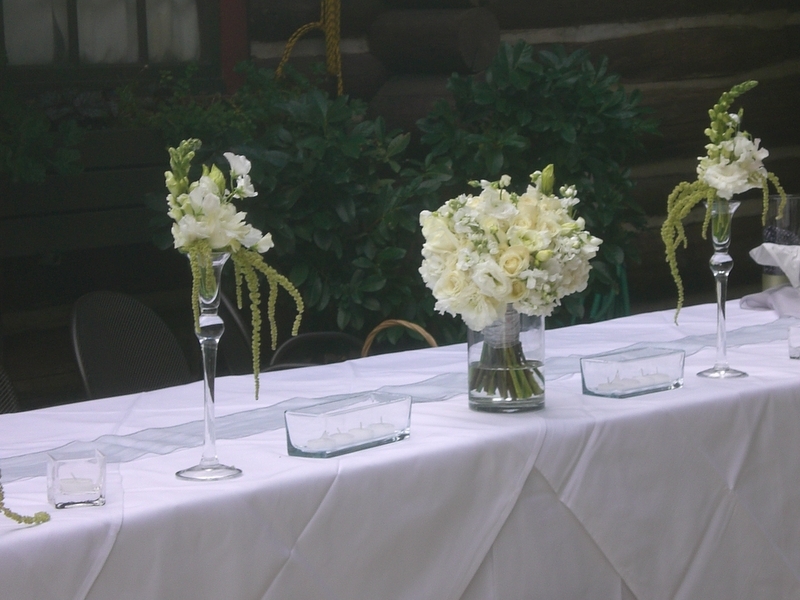 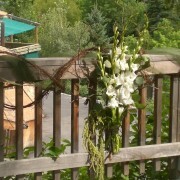 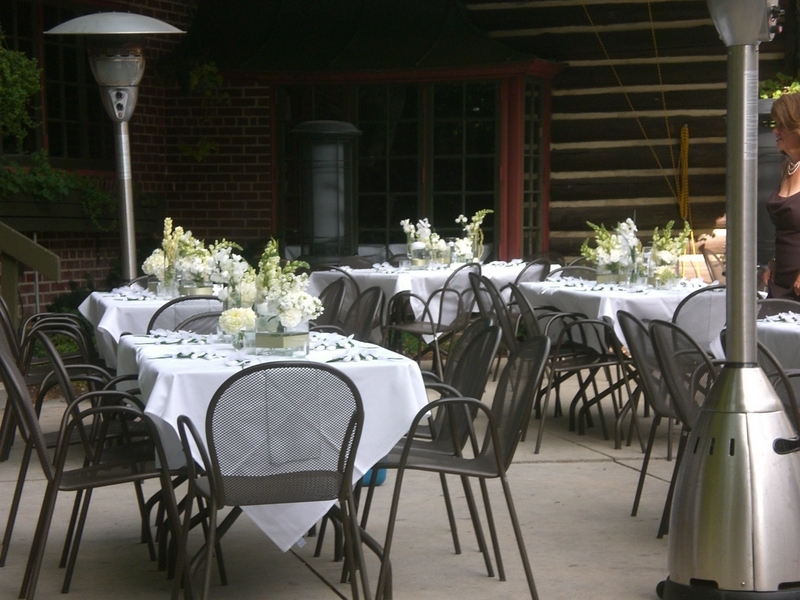 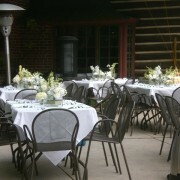 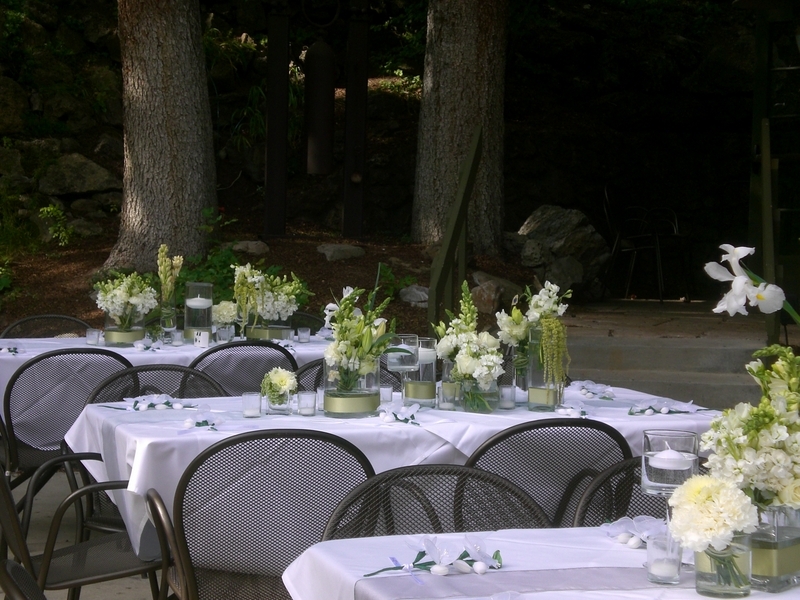 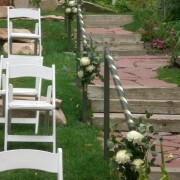 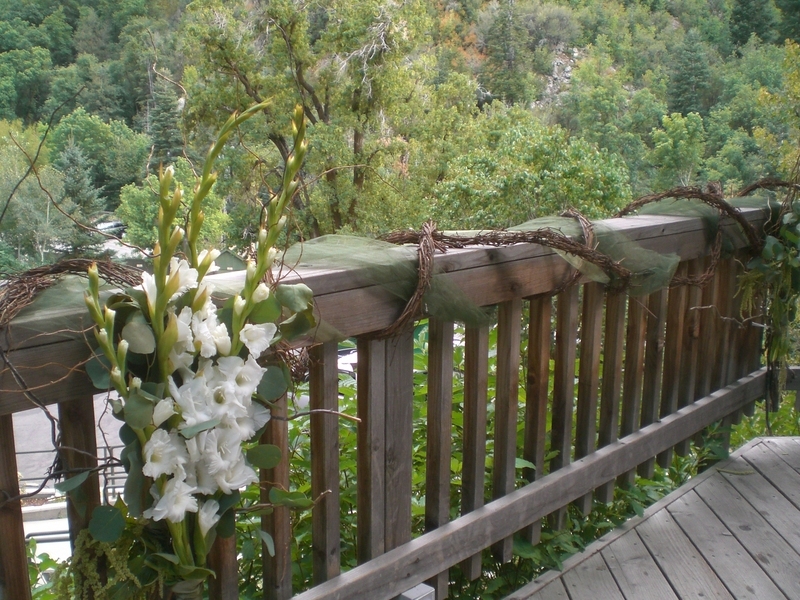 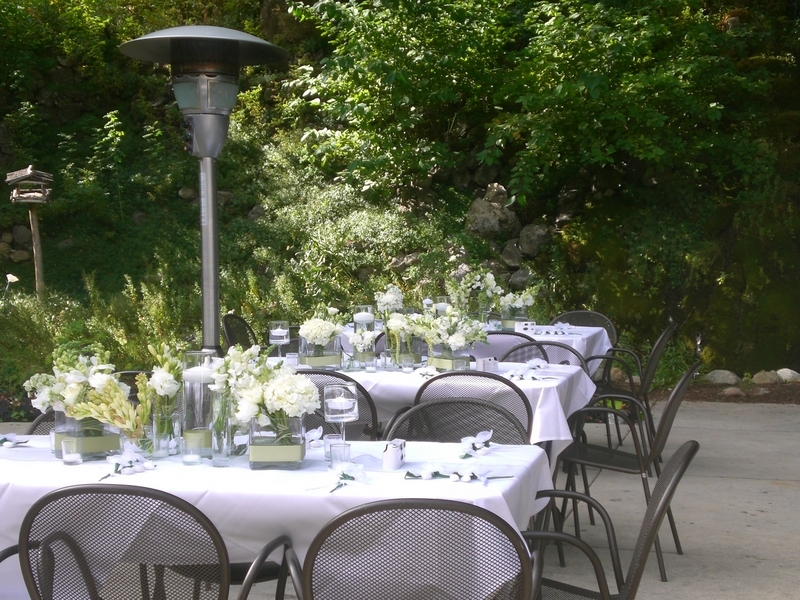 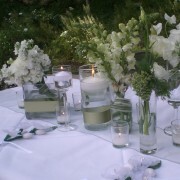 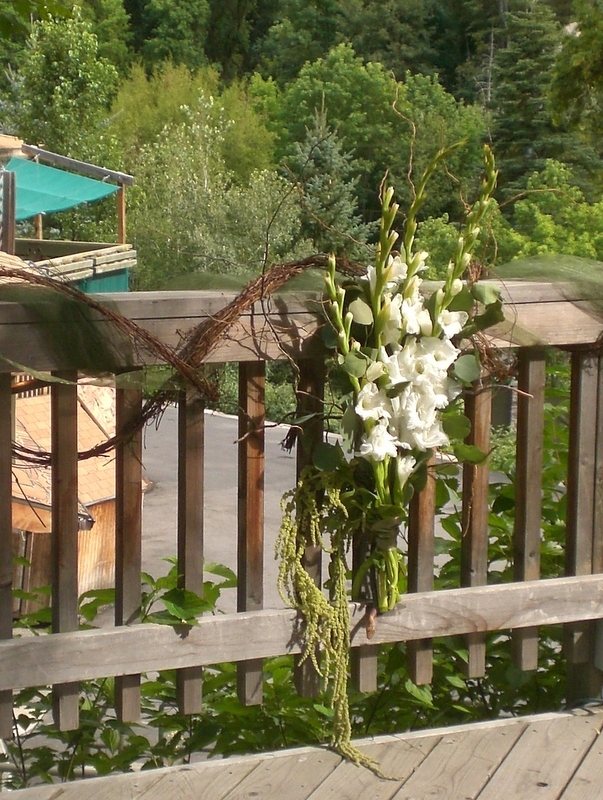 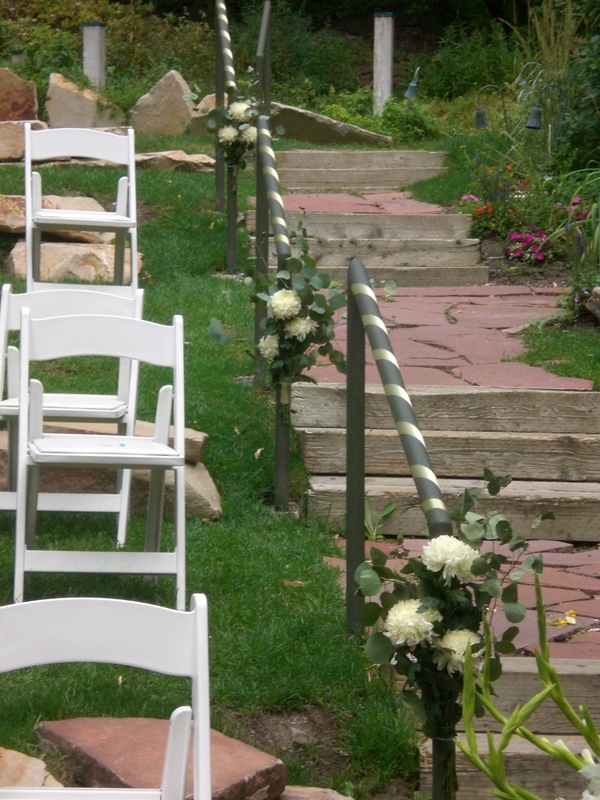 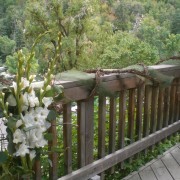 Beautiful outdoor wedding in Millcreek Canyon. 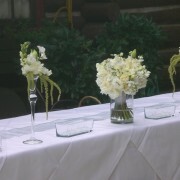 Ceremony and dinner held at Loghaven. 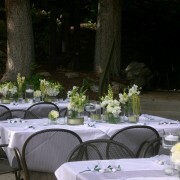 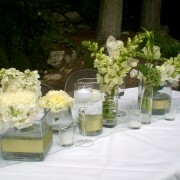 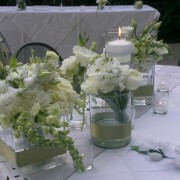 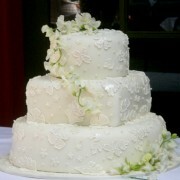 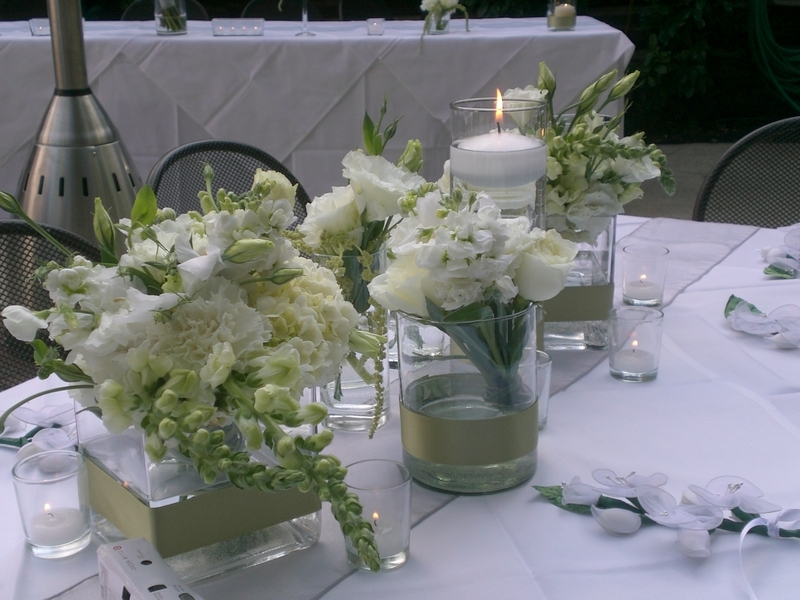 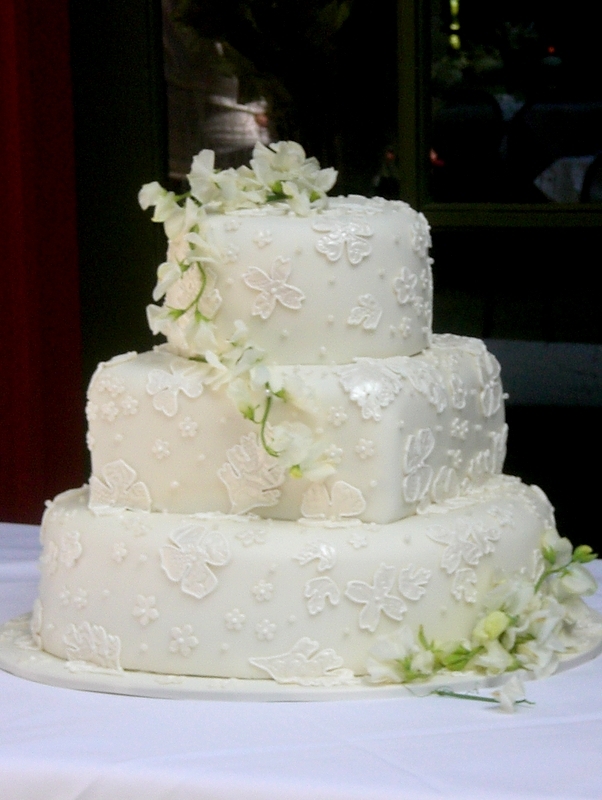 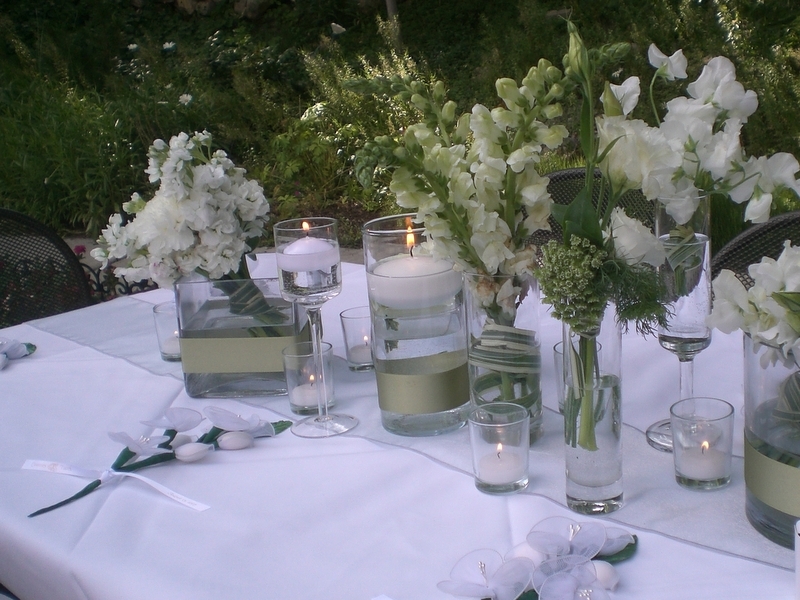 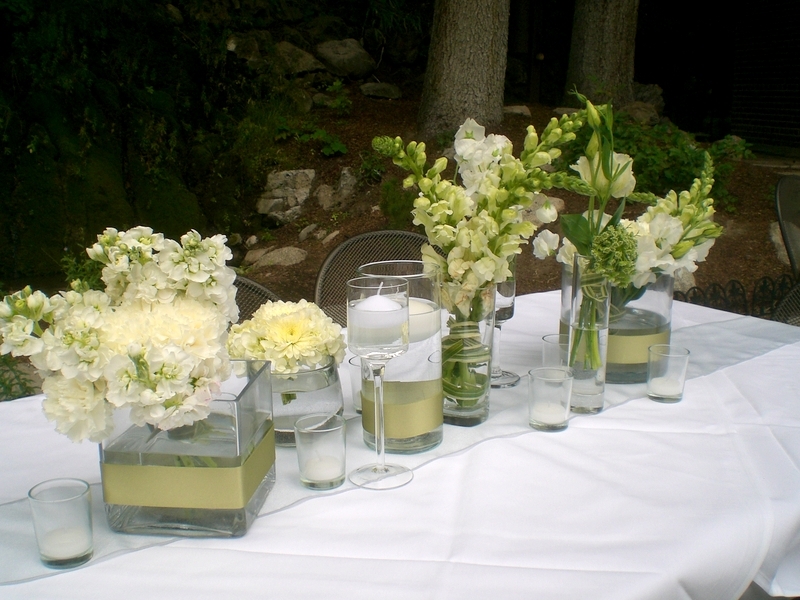 Whites and green florals blended beautifully with the mountain background.